This is a sponsored post on behalf of Basic Invite. All opinions are my own. It’s that time of year again– time for graduation parties! 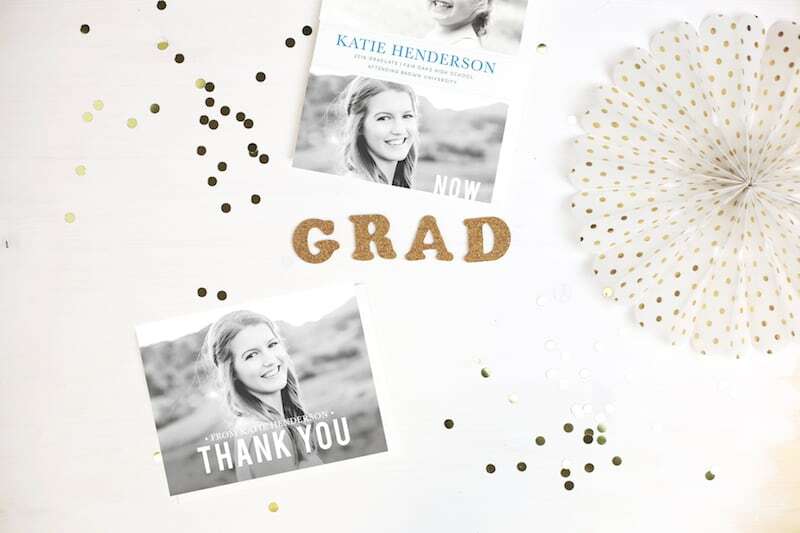 If you are looking for a place to get beautiful, customizable invitations (including photo graduation party invitations), don’t forget to check out Basic Invite. 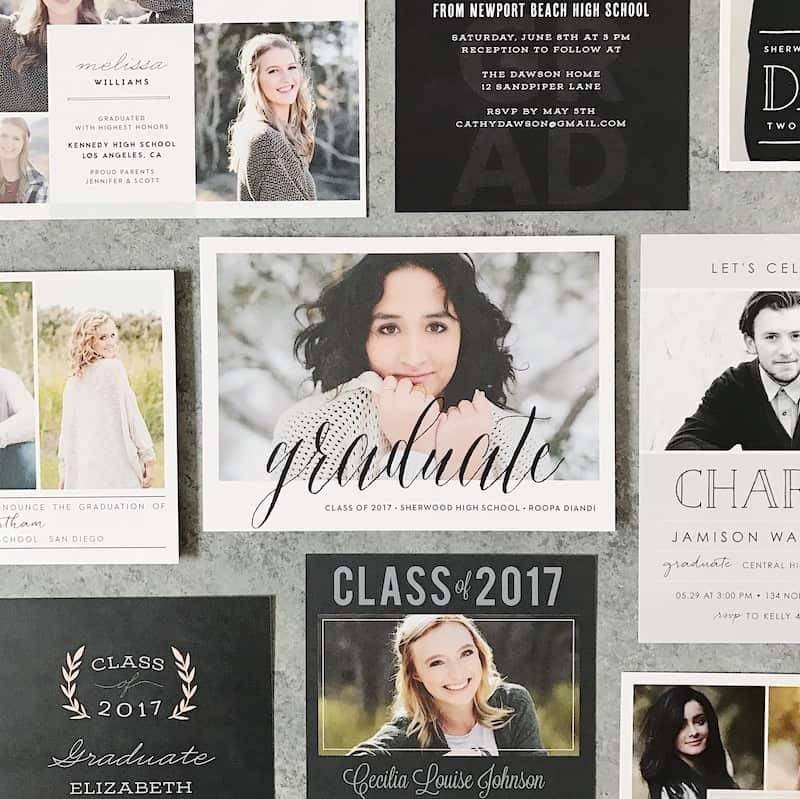 Basic invite grad cards come in over 180 different color options, so there is something for every color scheme and you can see previews of your design instantly. I love that you can change the color of every design element, but the color options don’t end there- you can choose from over 40 different envelope colors too! If you’re into metallics, you can also choose gold, silver, and rose gold foil designs (with flat or raised foil). One of my pet peeves is the inability to customize invitations you order online. Basic Invites are easily customized and you can actually get a printed sample of your invitation before you place your final order! 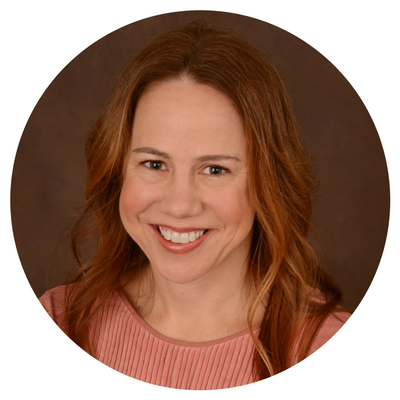 They also have a really cool address capturing system that allows you to share a link on your social media profiles to request your friends’ addresses. If you really want to be ahead of the game, Basic Invite offers recipient address printing at no cost on all Christmas card orders! When you’re ready to get started, visit Basic Invite and enter code 15FF51 for 15% off your order! 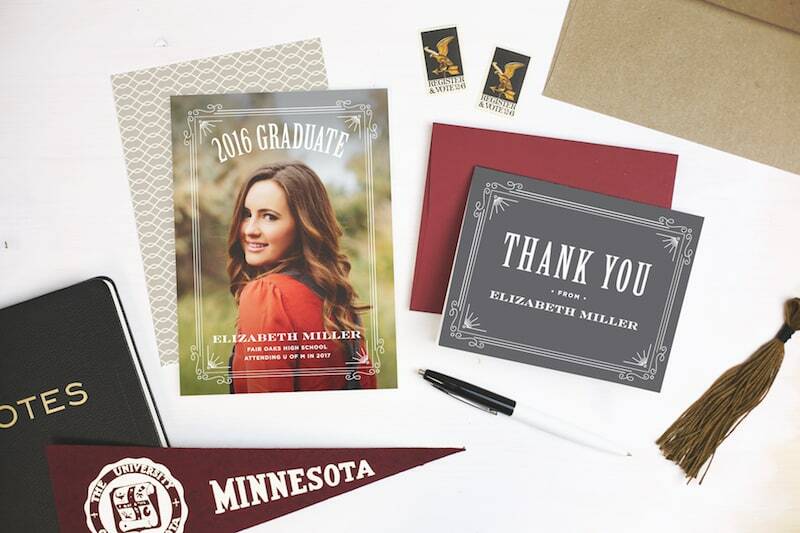 Don’t forget a thank you graduation card too! 🙂 You can find out more about Basic Invite on their website and on Facebook, Pinterest, Instagram, and Twitter.